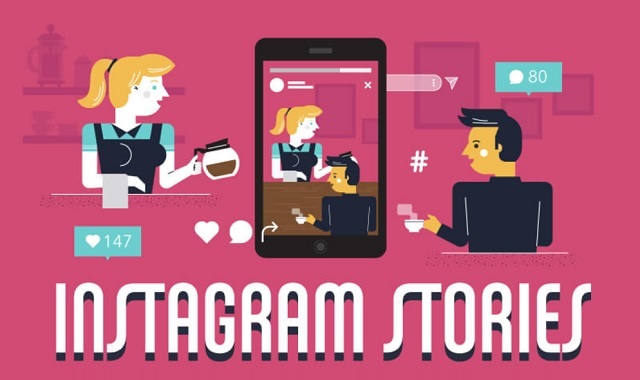 A Small Business Guide to Instagram Stories #infographic ~ Visualistan '+g+"
Instagram Stories are quick, simple and inexpensive – it’s easy to see why they are an excellent way for small businesses to engage with followers and attract new leads. Whether you already use Instagram for your marketing or not, the stats show that Instagram Stories are worth focusing on. With 250 million daily users and 20% of businesses receiving direct messages as a result of Stories, Instagram is a social media channel with huge potential for your business. Though the Stories last 15 seconds each and remain viewable for just 24 hours, they provide an opportunity to showcase your organization’s personality and subtly push your products. Instagram Stories has grown substantially since its launch in August 2016, and discovering how to make the most of it will be a huge benefit to your social media marketing efforts. What are you waiting for? Start telling your Story now.